Let's get to the heart of the matter. This work that we do here at Blissfully Feminine will help you get in touch with your feminine essence, but more importantly, this work we do will help you to prepare for, and to POWERFULLY ATTRACT the man that is going to love YOU, and if you are already married, will help you DRAMATICALLY improve your marriage. We will also help you conciously create a legacy through your children and wealth building. Plus you can bring a friend to any class for 50% off the regular price of the offered class. 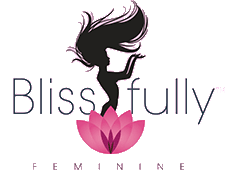 Invites to EXCLUSIVE Blissfully Feminine events and Blissfully Feminine trips - including match making events, couples retreats, group cruises, parties, webinars, in-person seminars and SO MUCH MORE!! Now a program that offers so much is valued at well over $5,000 if each class was paid for seperately, however we are offering you ALL of this for the low monthly subscription fee of $79. If you haven't any more time to waste, and want to make the most of each moment, building a life you absolutely love, don't hesitate. Just click the button below to enroll in the Domestic Goddess Society. A life you love awaits!